As a parent with a physical disability, I have always known there would be activities I could not do with my children. Anything that requires running, jumping, hopping, or kneeling and I’m left on the sidelines. This has only made me try harder to find things I can do with my family and make those moments memorable for everyone. I discovered a great resource at the Cedar Rapids Public Library called The Book of New Family Traditions: How to Create Great Rituals for Holidays and Every Day by Meg Cox. 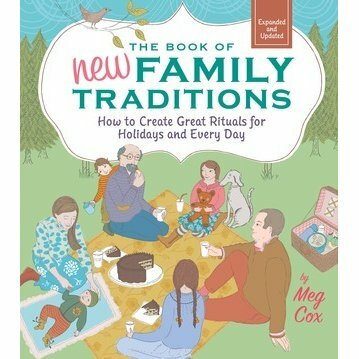 It is 285 pages filled with ideas on how to turn holidays, rites of passage, and day-to-day routines into cherished family traditions. There are suggestions for people of all abilities and many ideas cost nothing to implement. Simply your time. Here are a few ideas from the book. Cousins Camp: For families who are spread across the U.S., set a date for all of the cousins to convene in one place for a “Cousins Camp.” This can be done at the house of a family member or at a campground. Use the opportunity to throw an “everybody’s birthday party” with plenty of cake and ice cream to celebrate all of the birthdays that are missed throughout the year. Full Moon Bonfires: Make it a tradition to have a nighttime fire on the night of each full moon. Toast marshmallows, roast hot dogs, enjoy being outdoors together. Birthday Wreaths: This idea is based on a Navajo tradition. As an infant, a child is given a simple wreath that can be purchased at a craft store. On each birthday, they are given small charms or objects to attach to the wreath that symbolize something about their life. Keep a list of who gave what and what it symbolizes. What-We-Learned-Today Journal: Before bed, family members get to share one thing they learned that day and it gets recorded in a journal. It can be something small or profound, something they learned at school, or an observation about life. If someone draws a blank, there are apps with a daily fact to check and everyone learns something new. This is just a handful of the creative suggestions you’ll find in this book. 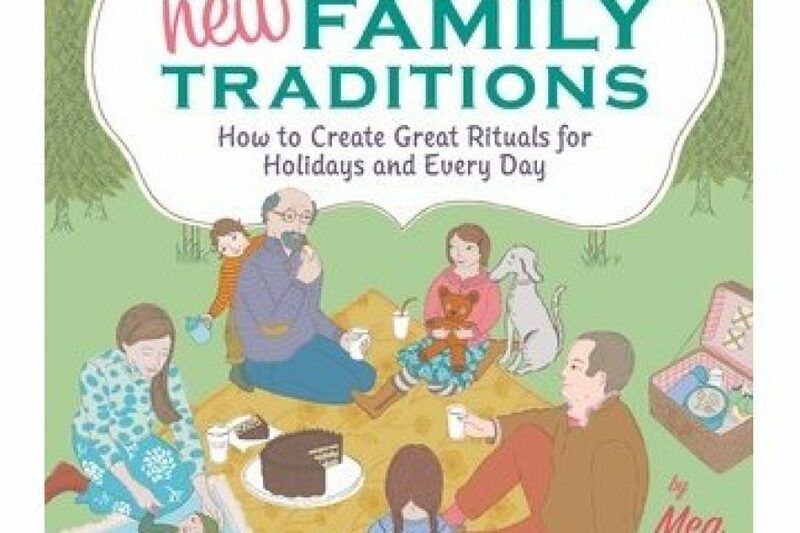 In addition there are bonus features such as “Fifty Questions for the Dinner-Table Conversation Basket” and how-to’s for a variety of crafts. One often hears parents of grown children say how fast those family years went by. I believe them. It is a reminder to make every moment count. Go out and make some great family memories today — and happy reading!